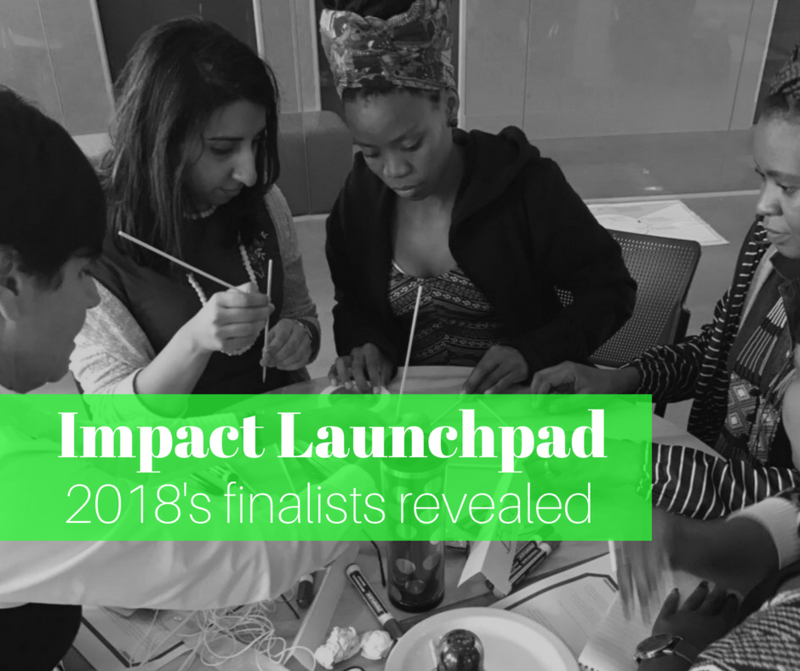 This year’s session of our Impact Launchpad is well underway at Impact Hub Joburg. 2018’s programme has a focus on the health, wellness and fitness industries and the finalists this year have some exciting and innovative early-stage start-up ideas that they are beginning to take shape. This week’s session participants are covering the Business Model Canvas, Financial Management. The next module will cover Innovative Finance (the Innovative Finance section if run in conjunction with our friends at Bertha Centre). In July, each participant has the opportunity to join in on a live pitch session for a chance to win seed funding and meet early-stage investors who may opt to also support their social business. Diamonds & Pearls Fitcamp is a for-women training facility in Midrand that would also have a boys/girls spinoff fitcamp. The facilities would be a mix of indoor and outdoor with water dispensers on-site. Diamonds & Pearls wants to tackle the obesity epidemic while also creating a space where women can empower each other and mothers can bring their kids that can stay safe and be active while their mothers are working out. Nabeela Laher is an entrepreneur who envisions a platform that will engage and link stakeholders, to enhance the quality and sustainability of interventions for people with special needs, through the use of design-thinking and developmental evaluation. Nabeela sees a lack of access to quality therapy interventions among children with disabilities and wants to change this while also offering access to enabling natural environments for people with disabilities and developing an enhanced quality of decision making and care around children with disabilities. Nomashi solutions is working to provide scarce mobile radiology services for early diagnosis and treatment of sicknesses, occupational injuries, and diseases. They will also be able to perform breasts cancer screening mammograms for early breast cancer detection by means of a fully furnished vehicle and an App that will allow for bookings, privately load reports for referring doctors and send follow up reminders. The truck will travel to numerous (often remote) communities, making services available to patients of all ages and breast screening mammograms available to women who might not otherwise have access to these services. The mobile service will be able to visit businesses, office parks, and health clinics thus reaching out to some of the most rural and underserved areas. By making radiology services mobile, Nomashi solutions is knocking down barriers, such as geography, financial or medical limitations to ensure that all communities can receive affordable screenings. With the goal of detecting cancer early, and reducing costs associated with therapy, uninsured women, women with lower incomes, or women in rural areas will have a greater chance of having developing issues caught early and increasing survival rates. Stodafusion advocates self-responsibility. Their clients are invited to look within and seek solutions to problems instead of looking to outside factors. 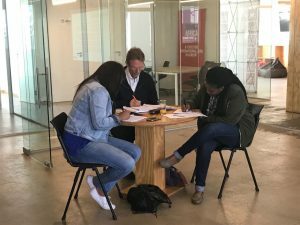 By looking for how an individual becomes a value-add to a situation, Stodafusion seeks to motivate that individual into social and personal action (creating mental resilience) with a focus on coping mechanisms for South African specific challenges. Spa Ilahi is developing an institution that will focus primarily on the education of wellness and holistic-related subjects, moving away from the beauty spa concept. 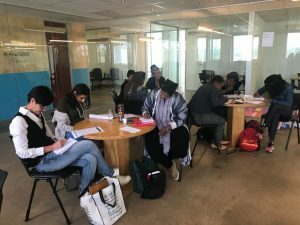 The focus instead will be on workshops geared towards learning the sciences of mind and body, while ensuring that the spa is affordable, creative and inspiring. With President Cyril Ramaphosa recently stressing in his inauguration speech that government intends to initiate more job opportunities through tourism, Spa Ilahi sees an opportunity to encourage learners to enter the wellness industry that correlates magnificently with tourism and leisure, to empower themselves as health and wellness therapists to enhance a better quality of life and career satisfaction for themselves and others. The Spa also recognizes there is a lack of institutions that provides comprehensive training in the spa industry (there is, rather, a focus on beauty), and wishes to fill this gap. Bantu Urban Fitness Fanatics (BUFF) intends to be a one-stop health and wellness lifestyle management organisation that caters to individuals, government, corporates and non-profit organisations by providing innovative and fun health and wellness related solutions. Offerings include public recreational activities such as monthly hikes, abseiling and the Via Ferrata (Iron Way), which is a stairway anchored on the side of a mountain at Shelter Rock. BUFF takes aim at obesity and aims to be affordable and easily accessible by offering flexible and bespoke programs to allow customers to exercise and by augmenting the traditional clinical “wellness days” with what employees enjoy doing. Mo_fitnass is a female-focused bootcamp with physical exercise programmes that run from 30 minutes to one hour and are geared towards building strength and overall fitness. Nutrition advise and programmes are also available, but the overall vision is to provide weight loss in a supportive environment full of camaraderie and evangelizing healthy eating and exercise as part of an overall lifestyle. The goal is to create a community that’s healthier, and more focused on making healthy decisions. Boitshoko Consulting is a consultancy business that offers tailormade psycho-educational training, workshops and groups for any organization, team and or individual. The finished product will be a culmination of learnings, suggestions, group or individual counseling/coaching sessions and training based on in-depth situational research. The end goal will be a roadmap to obtaining work/life balance and improving overall office culture to address mental health issues and healthy co-worker interactions. This will help avoid common work-related issues such as burnout, conflict, anxiety, and depression. Geluksdal Dance Academy aspires to be a dance academy situated within local townships and previously disadvantaged communities that create qualified employable dance teachers and an inclusive dance platform. By involving youth in dance and giving a roadmap to future employment opportunities, the goal is to curtail early teen pregnancy, substance abuse, low self-esteem, unemployment as well as improve social cohesion within the communities it operates. Hugh Gosnell wants to ensure the elderly have access and awareness of local community activities. To do this, he will leverage machine learning and partner with local service providers such as NGOs, service centres, charities and medical insurers to link elderly individuals to activities around them catered to their specific likes and interests. The machine learning will also gather and analyze data in order to showcase which activities have the most engagement in order to better understand the needs of the demographic and help build similar activities and programmes in other communities. Thrive Life Design offers individual life coaching and Transformational Retreats (that include post-retreat support mechanisms) focused on the holistic well-being for women in an African context. To ensure that services are available to anyone, no matter their income level, Thrive Life Design will put an emphasis on developing coaching and well-being services, like support circles, for women in lower socioeconomic levels who cannot afford the transformational retreats on offer. The goal is to empower women of all colour by giving them life tools and support mechanisms to drive in-risk groups out of marginalisation – a critical step in rebuilding well-being, sustainable affluence, and prosperity. Check in on our blog for further updates on their progress and the pitch session as we get closer to the date.